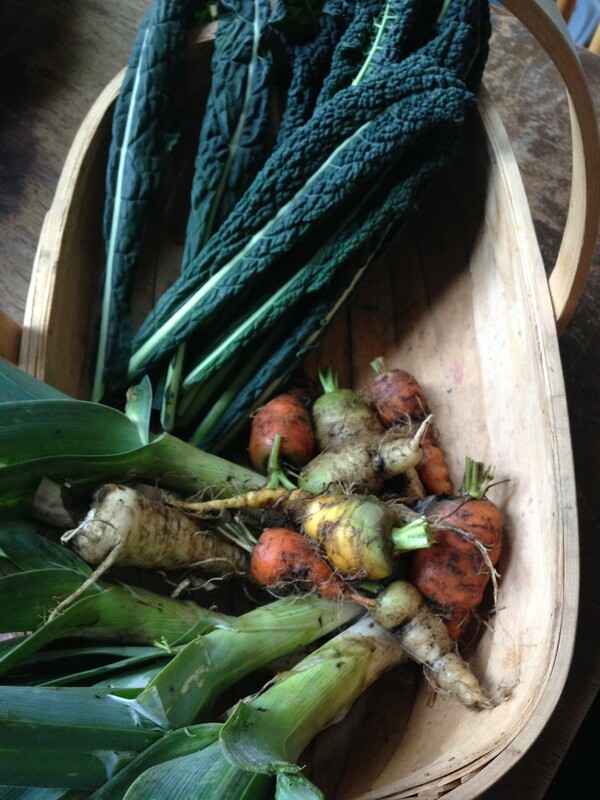 The proper autumn harvest has begun. I was in Stratford upon Avon last week for work and popped to Charlecote Plants on the way back, which is essentially a wooden shack next to a National Trust property. Don’t be fooled though, for the shack is home to treasure. 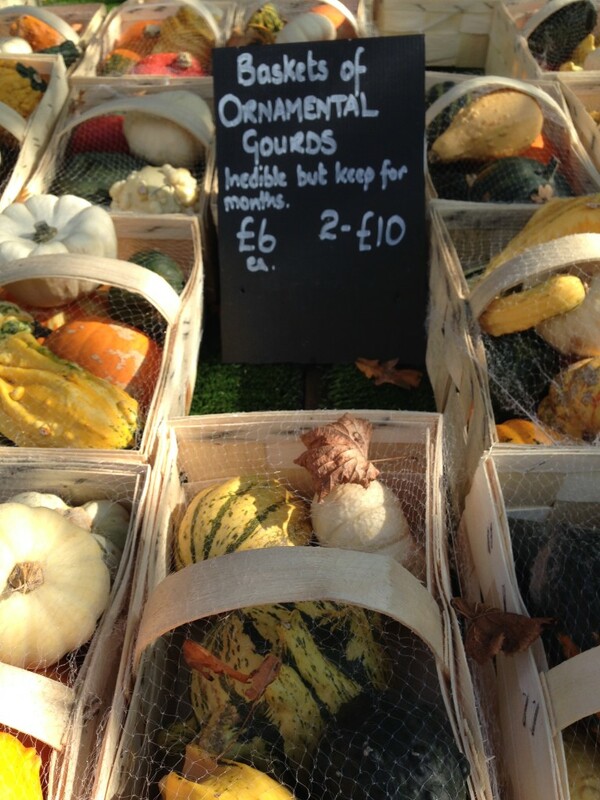 Charlecote are known for their October display of squash and visitors are welcomed by mountains of knobbly, gnarly, stripy, weird, wonderful veggies. 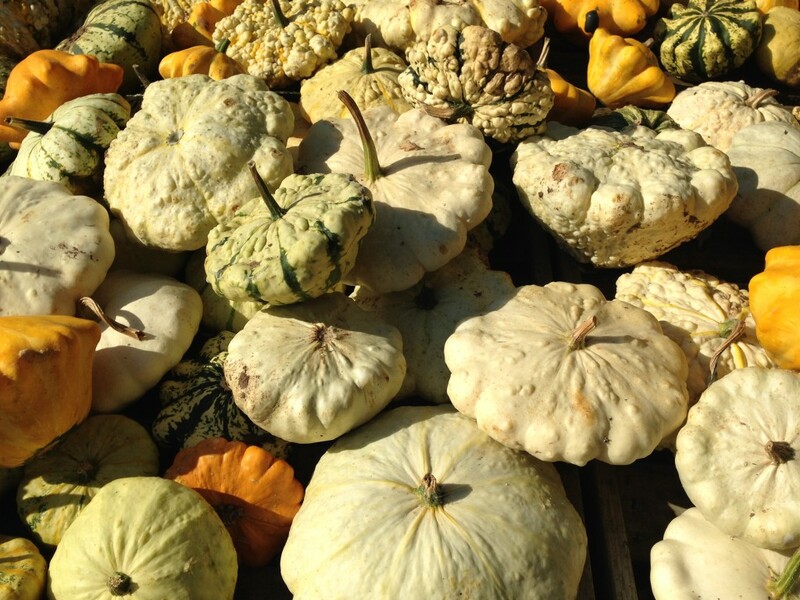 Squash aside, the produce here is brilliantly good. 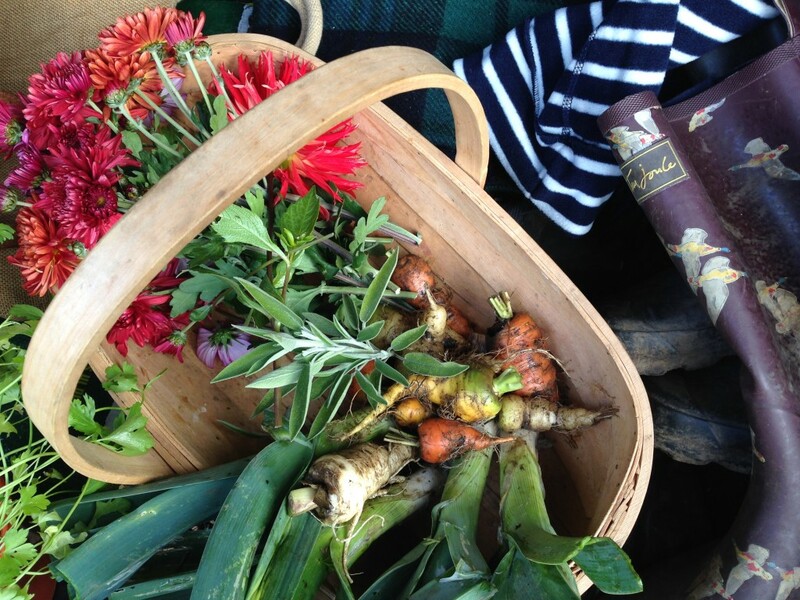 I picked up golden beets, local red cabbage, russet spring onions and admired the baskets of princely quince and cobnuts. 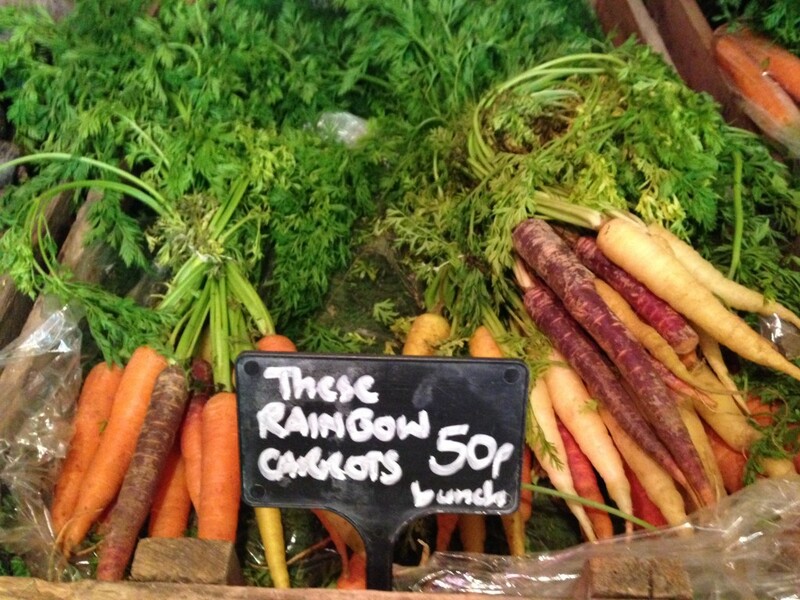 The carrots, which are the same variety as we “grow”, made me sick with envy. 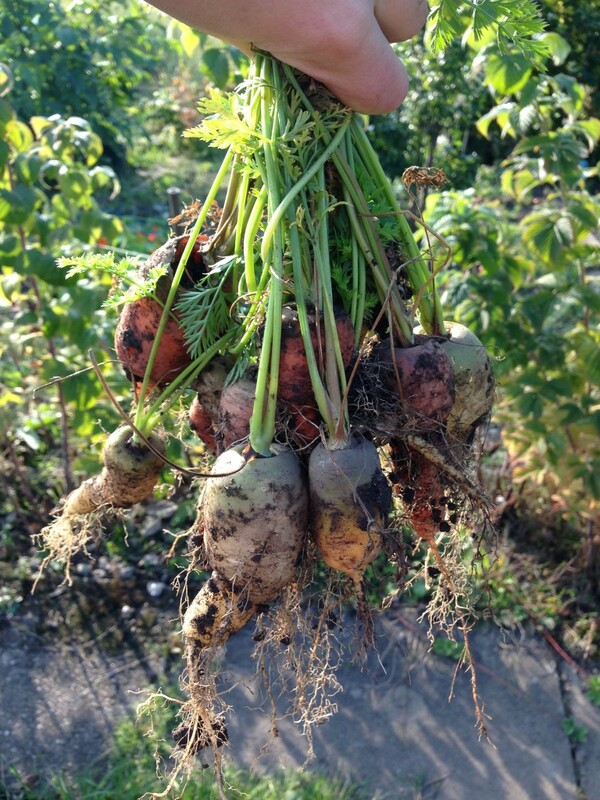 Yesterday marked a momentous day at Veg Patch: the pulling of the first parsnip! 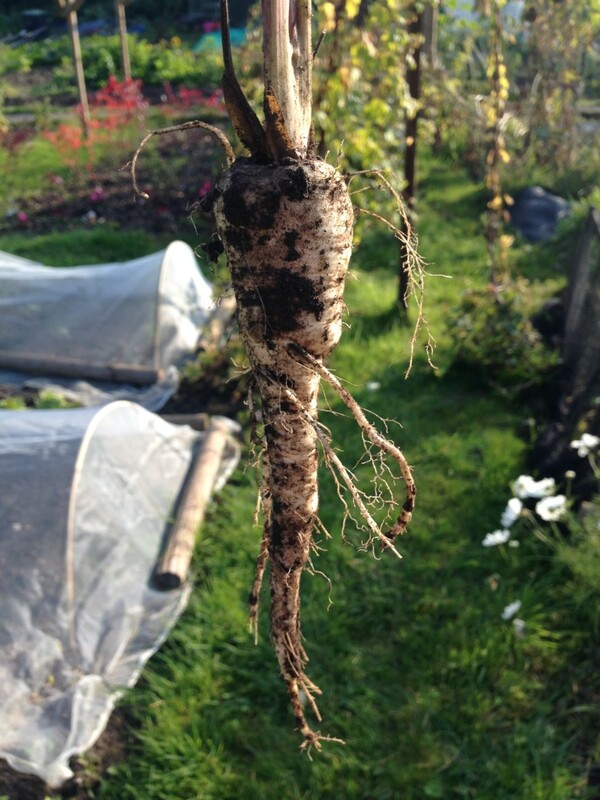 What’s more, it actually looked like a parsnip! Nothing can beat that spicy earthy scent of a freshly dug ‘snip, though in truth they need a bit more time in the soil to bulk out. The leeks are ready now but they’ve been affected by a rot of some kind, and the outer leaves are beginning to disintegrate. Can leeks be frozen? Something to look up. 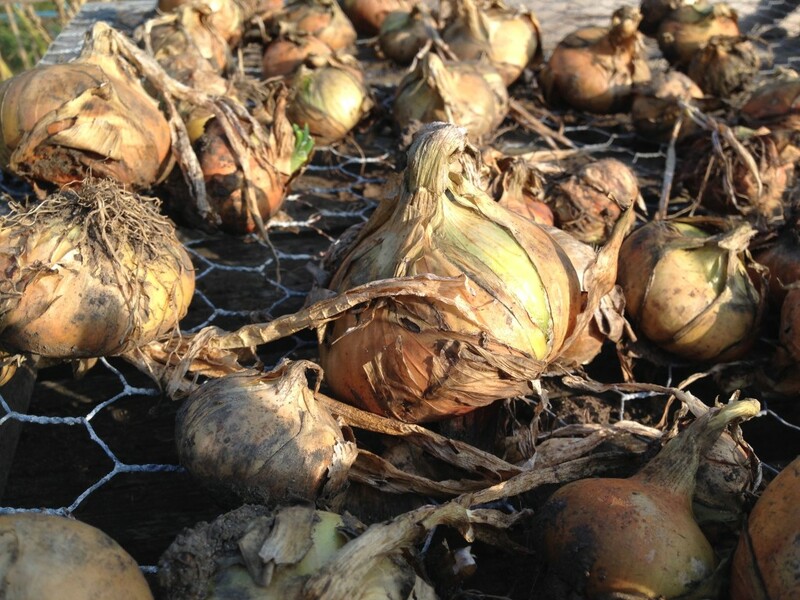 The onions, meanwhile, have been drying out for the past fortnight, making the most of the unseasonably warm September. 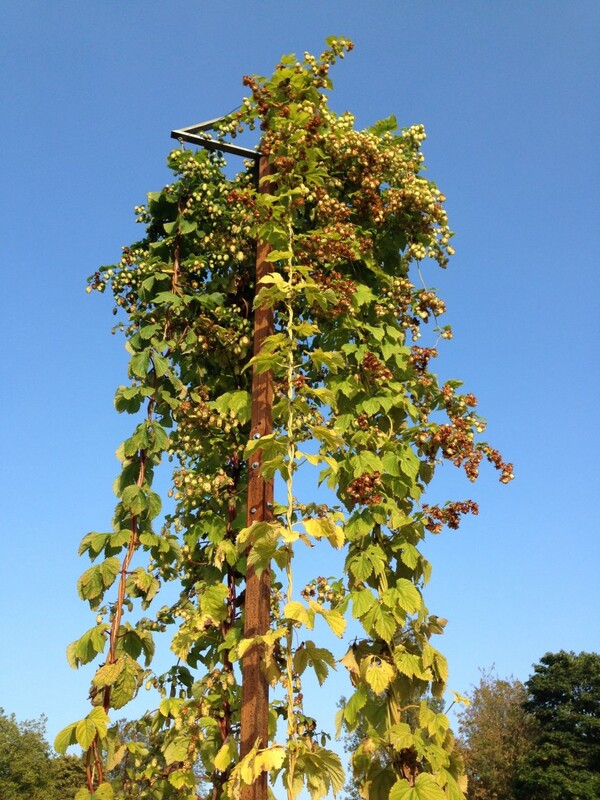 We missed the optimal moment for the hop harvest; they’re no good for beer now. But they are pretty enough so perhaps will have a second life as a decoration somewhere, though preferably not in my kitchen as the papery petals shed everywhere and generally make a right mess. 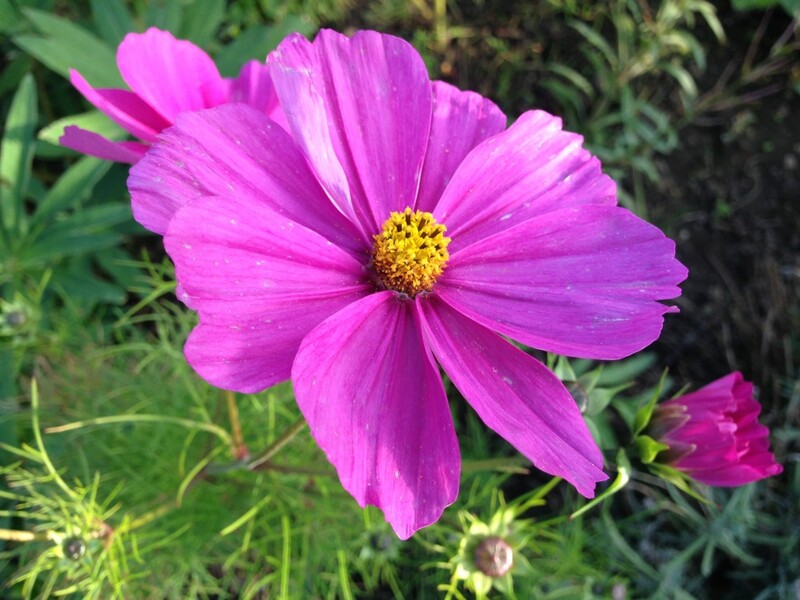 The sunflowers are now fading, though the bees are still drinking their fill of nectar. 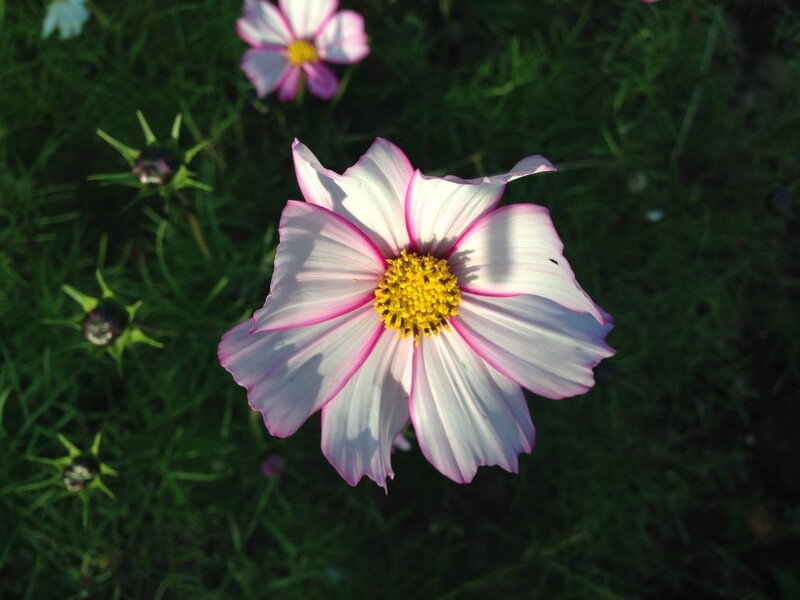 The prize for October colour goes to the crysanths, now blooming with incredibly long-lived stems. 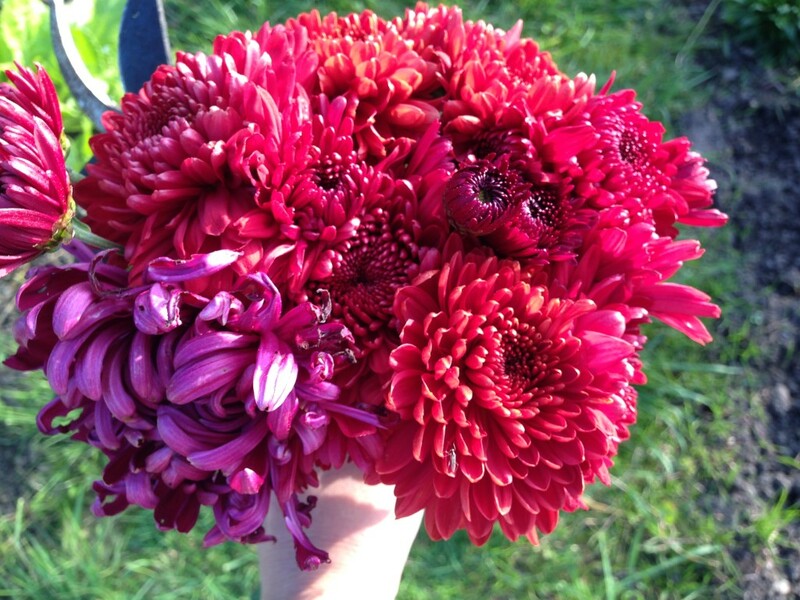 I love the clash of orange, purple and pink: it seems the essence of autumn in a vase. 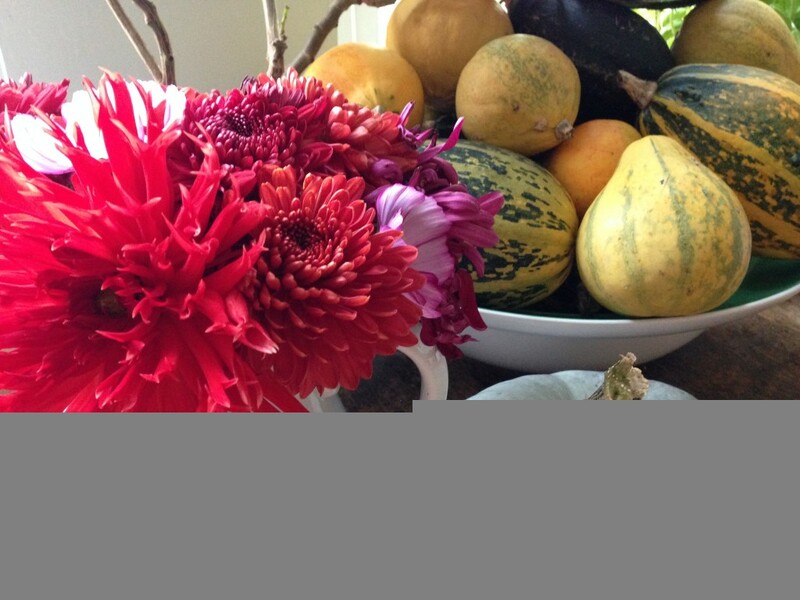 So we have an autumn harvest. 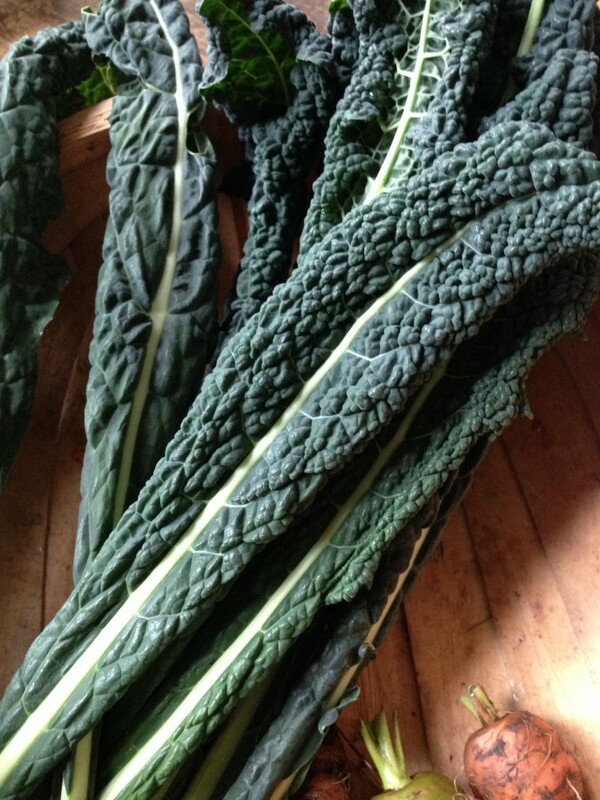 No brassicas (yet, but I live in hope), so I’ve taken to stealing cavalo nero from my mother’s veg patch. Blanched then tossed in olive oil and garlic, it lifts a plate of roasted roots to new dimensions. Autumn is definitely here. 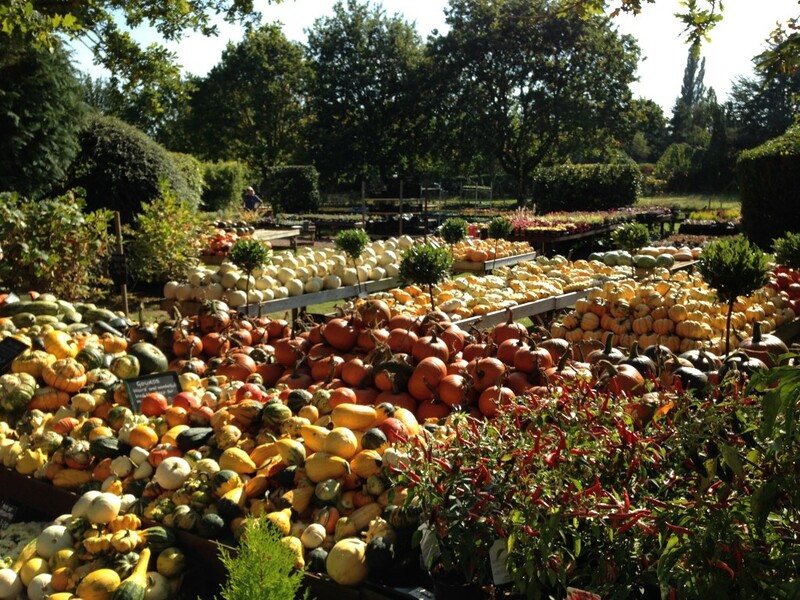 This entry was posted in Allotment, Autumn and tagged autumn, Charlecote, dahlias, Hops, leeks, Squash. Bookmark the permalink.